BATTLE CREEK, Mich., October 15, 2018 / PRNewswire / – Facing new evidence from the Food and Agriculture Organization of the United Nations (UNFAO) that world hunger continues to rise1, Kellogg today announced a new campaign that will make it easier for people to fight hunger by donating 10 foods hungry families request most, to Feeding America® food banks across the U.S. In a world where we produce enough food for everyone, how can more than 820 million people, or one in nine, struggle with hunger1? The answer, according to Matt Knott, Feeding America President, lies in our ability to get the right foods in the hands of the people who need it most. 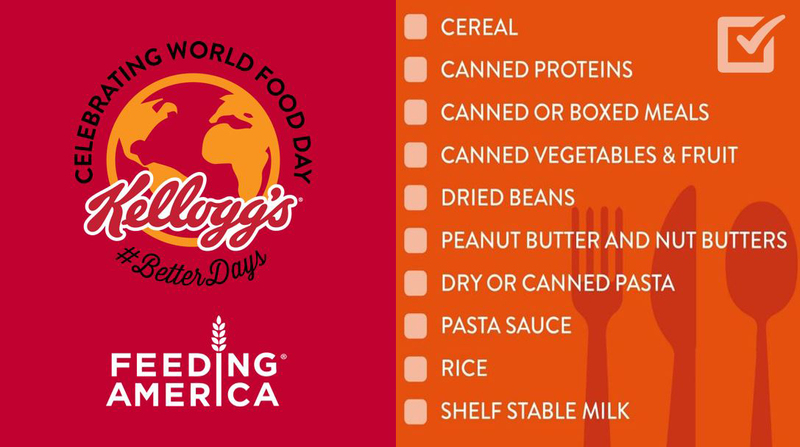 Beginning on World Food Day, October 16, and running through Giving Tuesday, on November 27, people can easily “click, ship and donate” these non-perishable grocery items to a Feeding America location using a special Kelloggs.com/FightingHunger donation page. This creative program addresses the important challenges food banks face — getting food to people in need and making sure pantries receive the right foods to make the greatest impact. 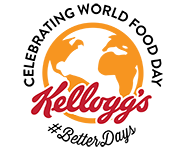 To further demonstrate the company’s ongoing commitment to hunger relief, Kellogg has set a goal to donate 1.5 million servings of food, to food banks around the world through employee-led meal-packing events and numerous food drives. Each year, the Food and Agriculture Organization of the United Nations recognizes World Food Day and focuses on efforts to support food security and rural development. 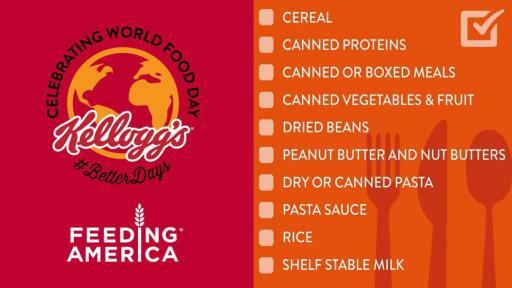 During World Food Day 2017, Kellogg donated more than 1.1 million servings of food, and 539 employees volunteered 1,388 hours at events supporting 38 food banks in 22 countries. 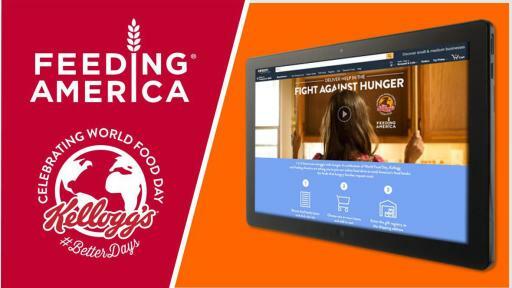 This work supports the company’s Breakfasts for Better Days™ global signature cause platform, addressing food security and creating three billion Better Days by the end of 2025. 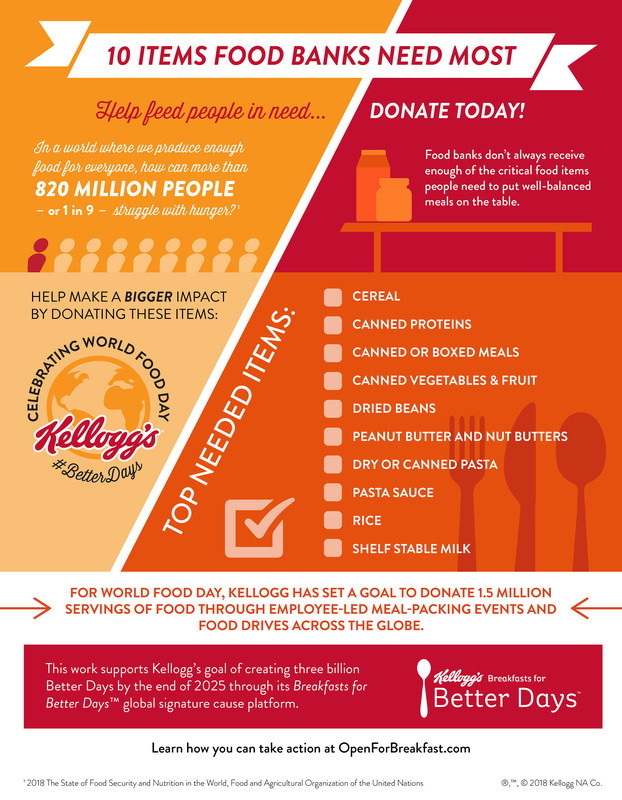 Overall in 2017, Kellogg donated 570 million servings of food and created more than 637 million Better Days. 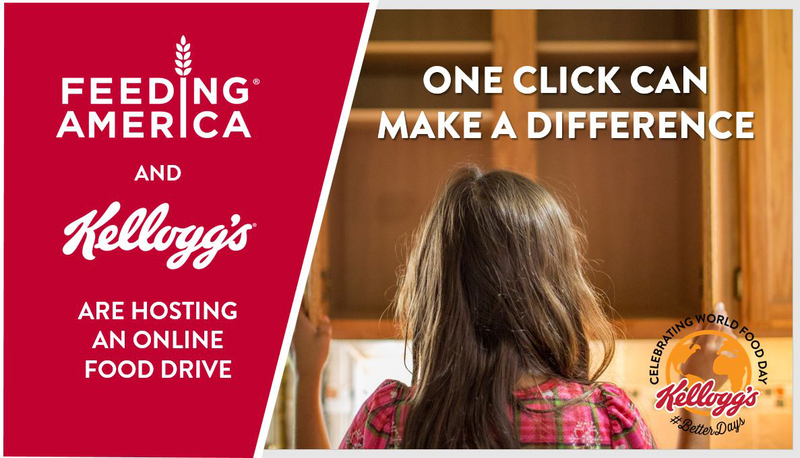 Feeding America® is the largest hunger-relief organization in the United States. 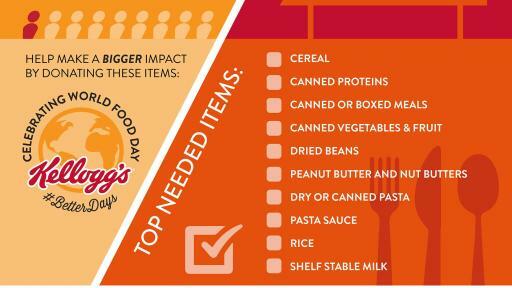 Through a network of 200 food banks and 60,000 food pantries and meal programs, we provide meals to more than 46 million people each year. 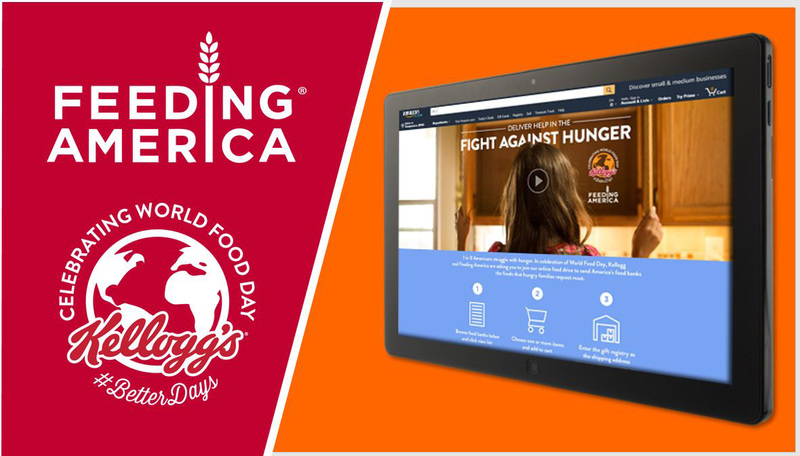 Feeding America also supports programs that prevent food waste and improve food security among the people we serve; educates the public about the problem of hunger; and advocates for legislation that protects people from going hungry. 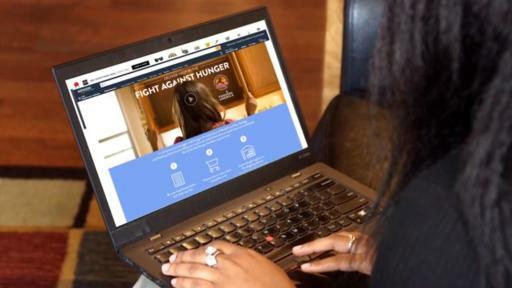 Individuals, charities, businesses and government all have a role in ending hunger. Donate. Volunteer. Advocate. Educate. Together we can solve hunger. 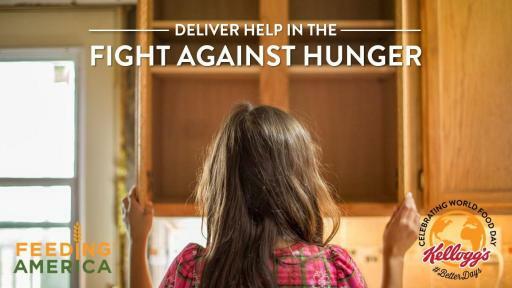 Visit www.feedingamerica.org, find us on Facebook or follow us on Twitter.